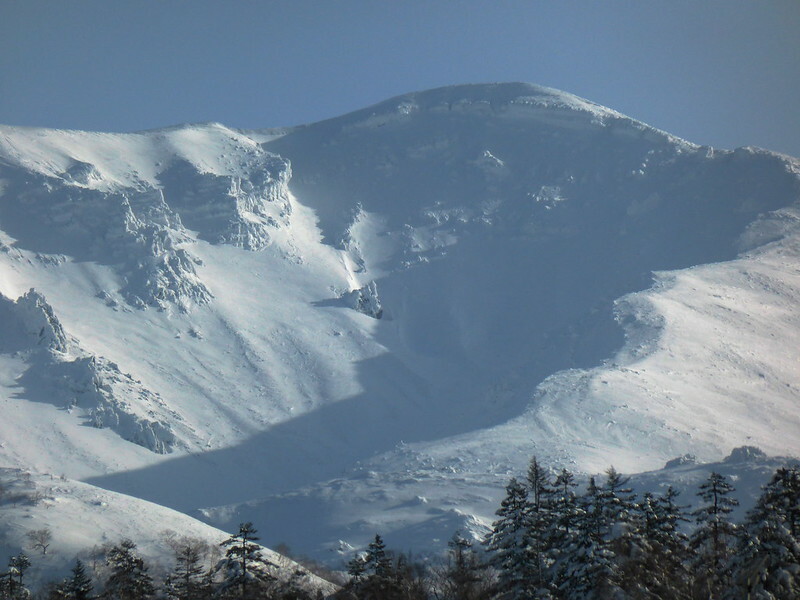 Asahidake, an active volcano, is the tallest mountain in Hokkaido at 2290m. 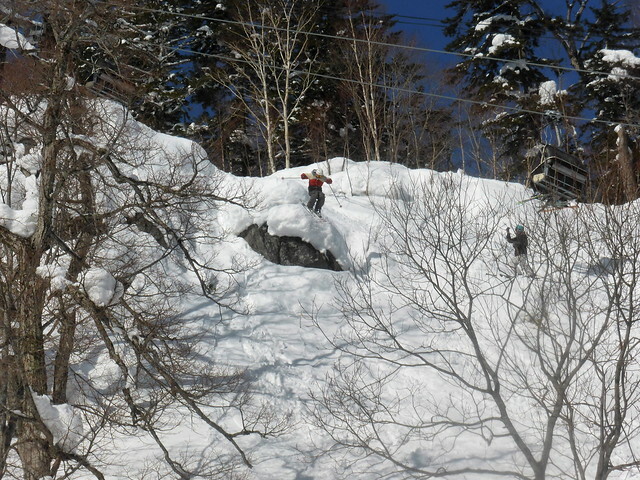 There is a single ropeway which ascends to about 1500m, from which you can access a ton of different lines, from pillows in the trees, to alpine style chutes. On Saturday morning the sky was clear, the wind was low and the ropeway was busy, so we made the call to hike for the summit. 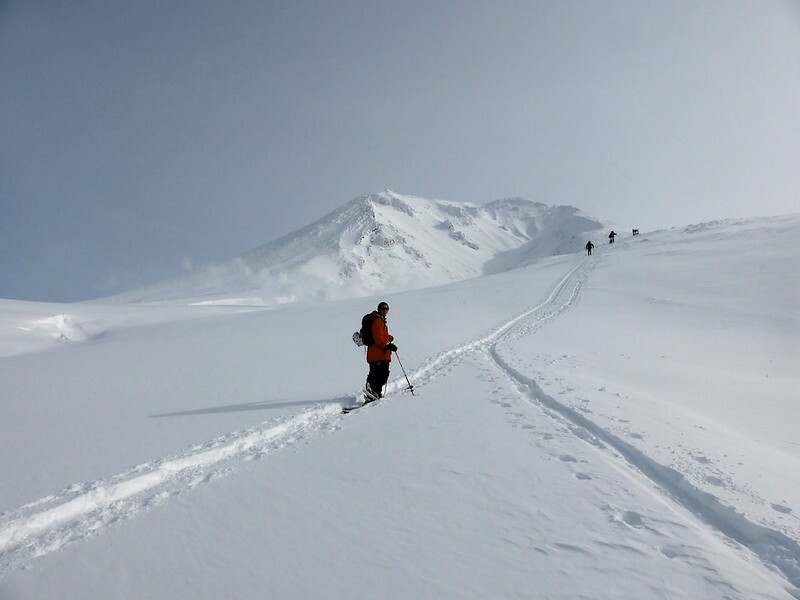 From the top station, there is a mellow skintrack to a hut at the base of the crater, followed by a steep hike up the ridgeline around the crater to the top. 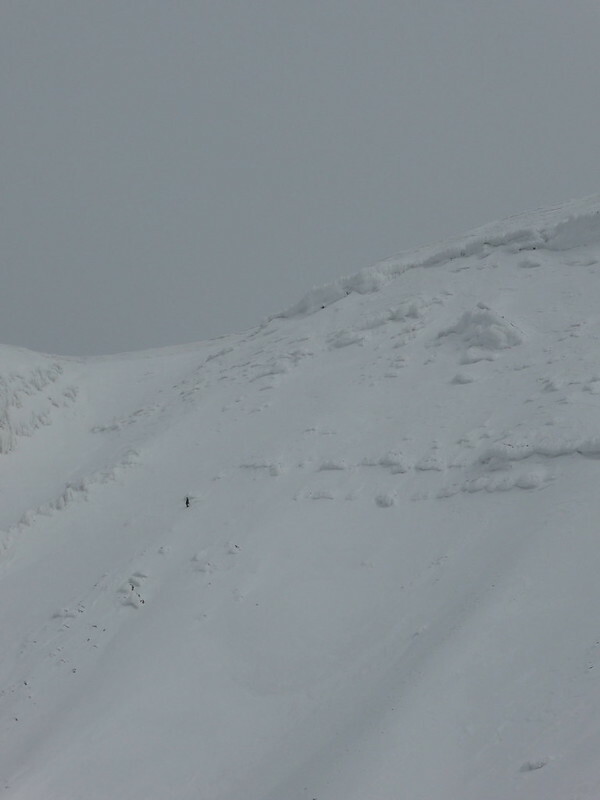 The wind had been strong during the week, so the ridgeline was windblown and very icy. 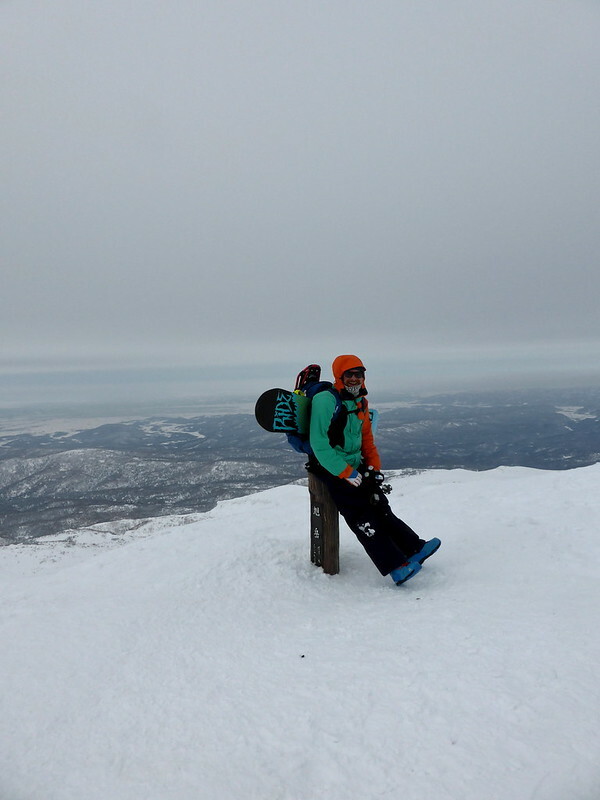 We abandoned our skins once we got higher up and bootpacked the rest of the way to the summit. 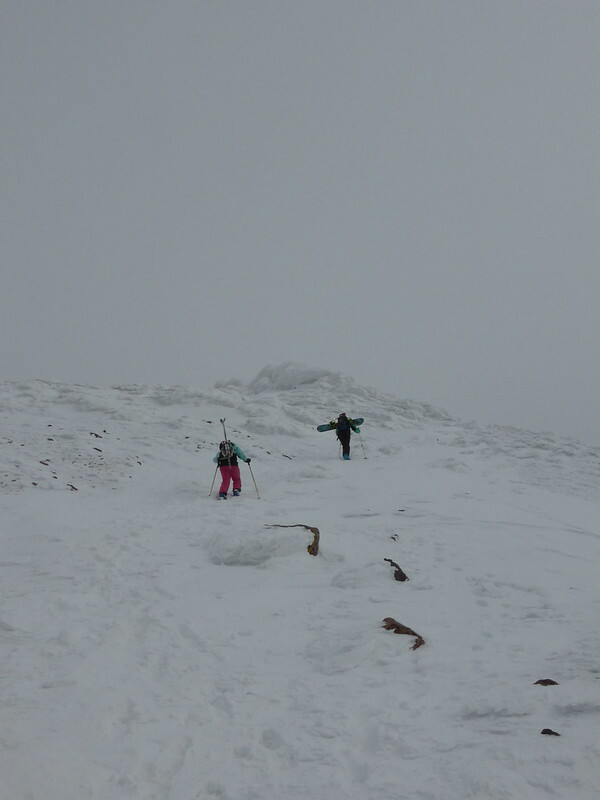 The wind really picked up by the time we got to the summit and the sky had turned overcast. 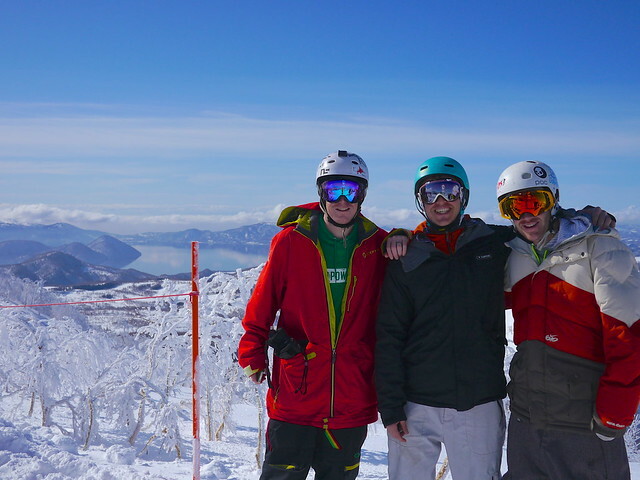 We didn’t stick around, just enough time for a couple of quick photos before clipping into our skis and heading down the backside of the mountain. 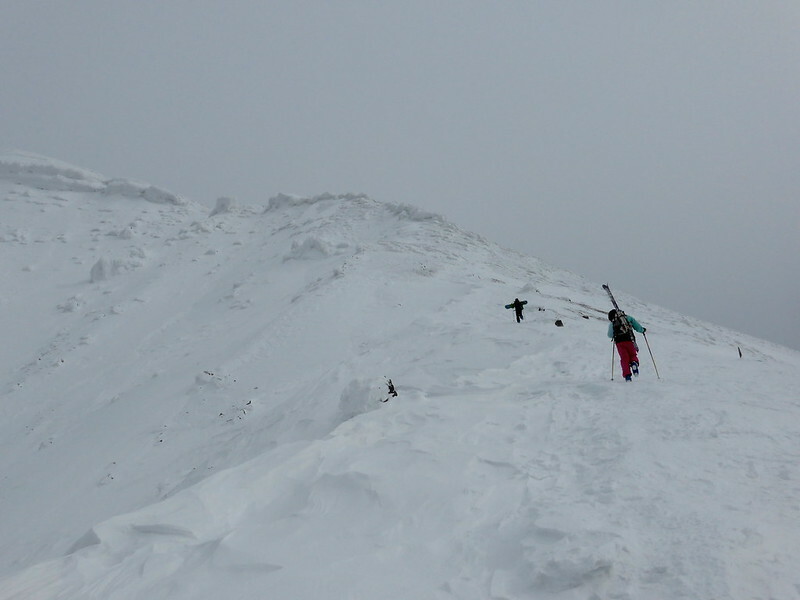 The wind scoured snow was pretty unpleasant skiing, with only a few pockets of powder in the gullys. 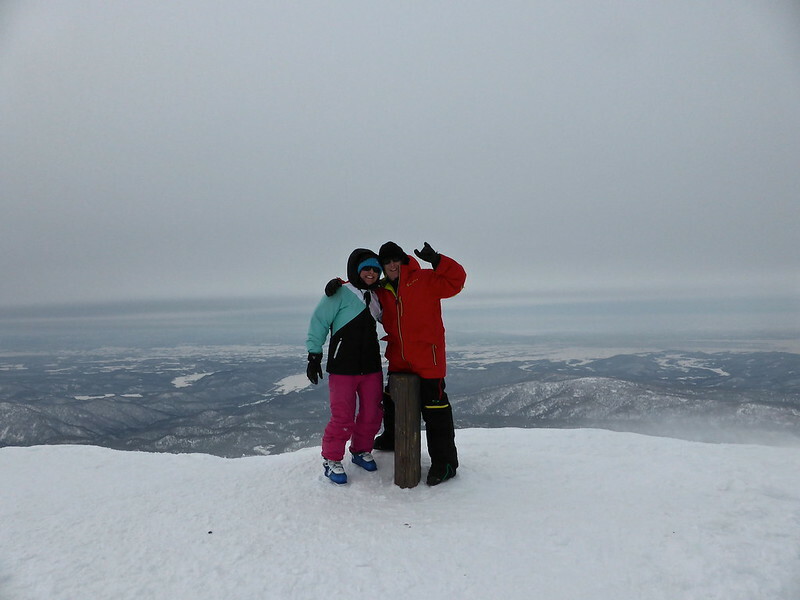 It was worth the effort though to bag the summit of Hokkaido’s highest mountain in mid-winter. 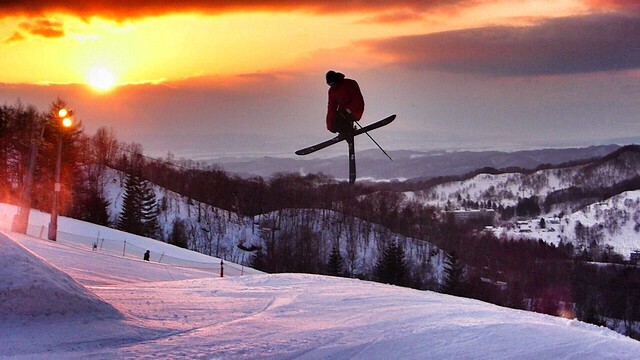 On top of Hokkaido. 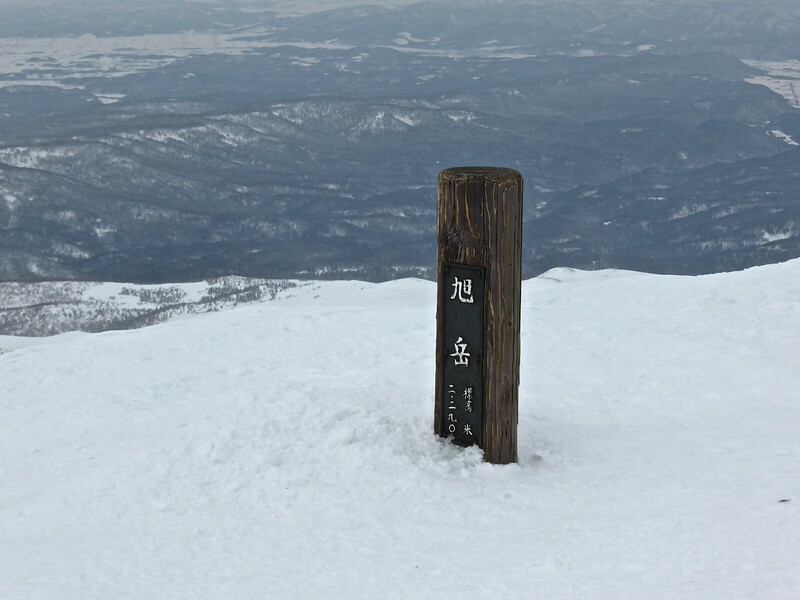 2290m. 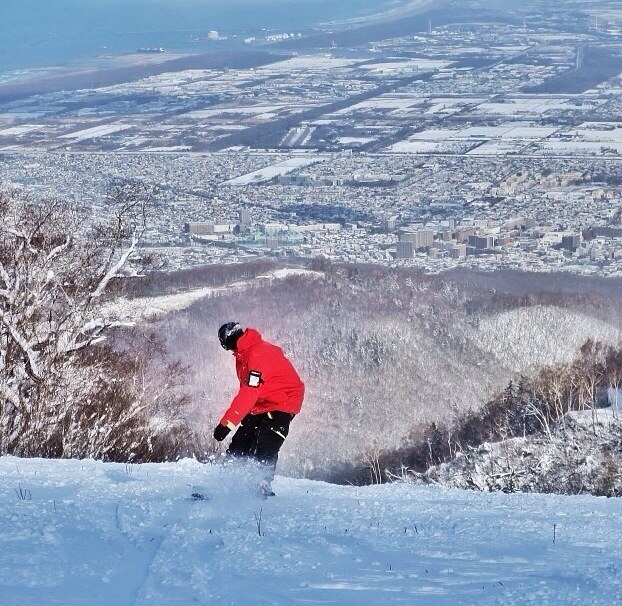 It was a stunning day at Teine on Saturday with incredible views over the Sea of Japan and downtown Sapporo. 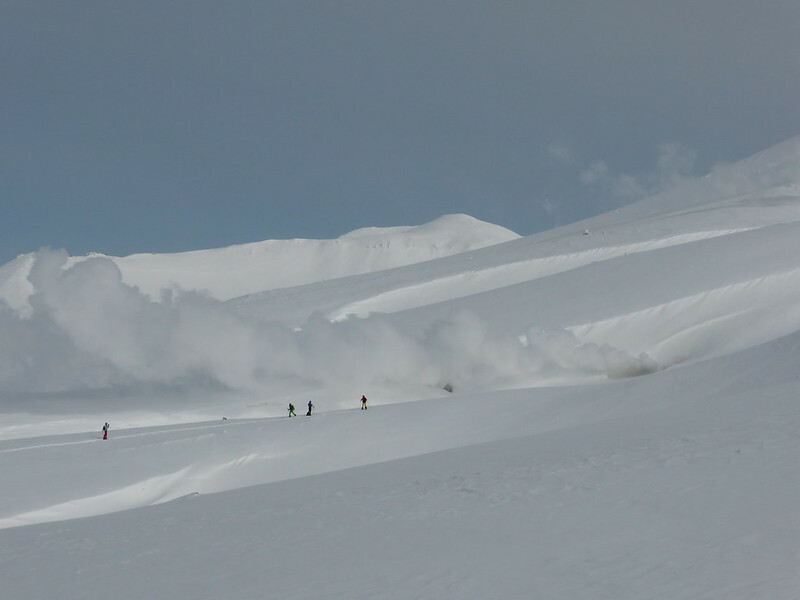 There wasn’t too much fresh snow, and the bowls were quickly tracked out as it was a busy day for powder hungry foreign riders. 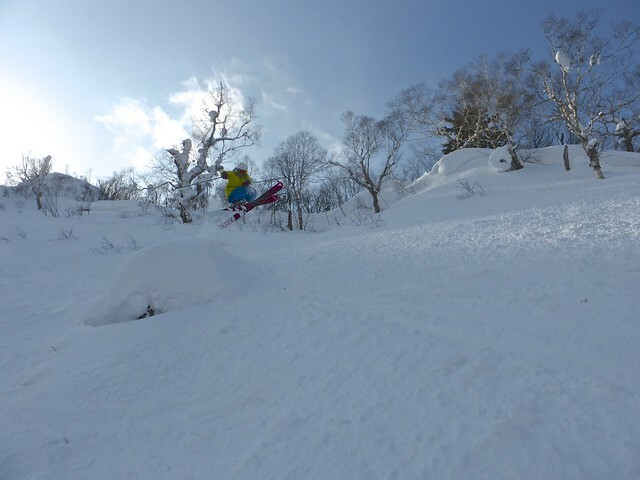 We didn’t get too many powder shots, but hit the park in the afternoon, where the bottom kicker has been set up to give an incredible backdrop for photos. 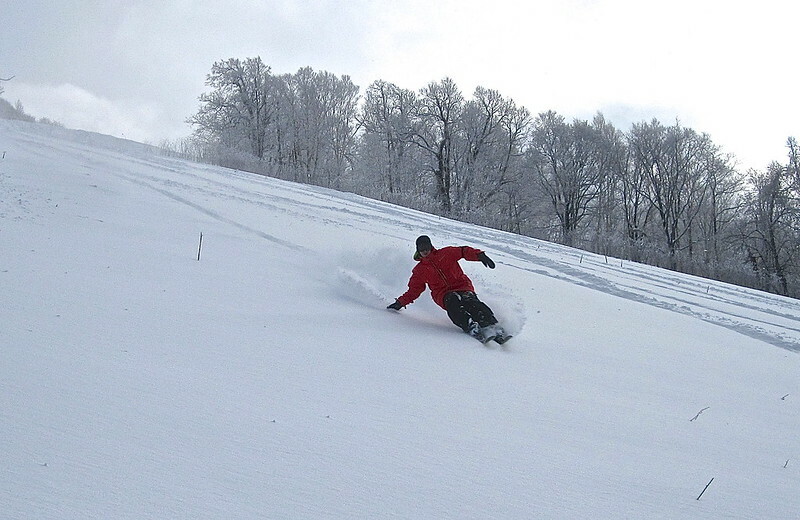 Tuesday was a public holiday, so we got a bonus day on the hill. It turned out to be a real bonus. 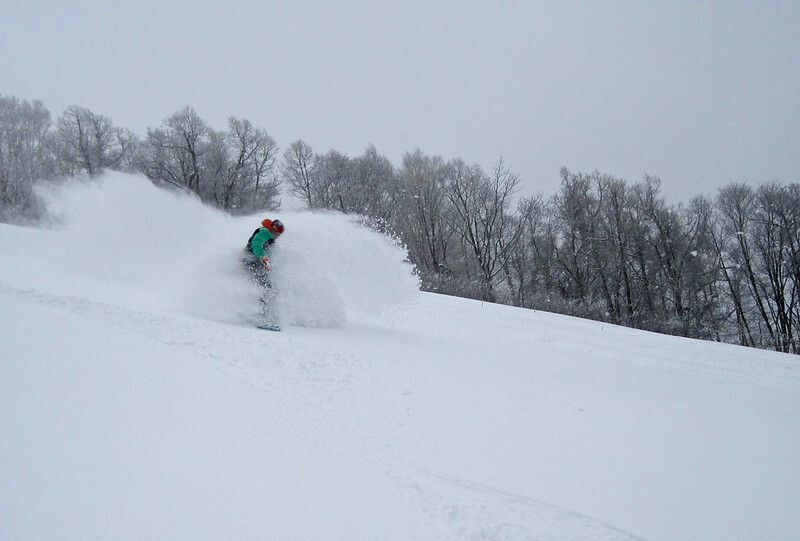 Alot of Hokkaido has been hurting for snow for the past few days, so we didn’t expect great things from Teine. But we were wrong. 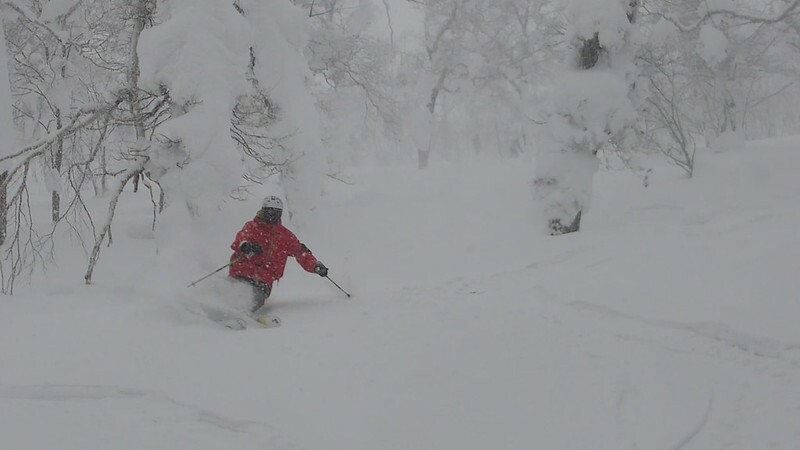 Snow had been falling steadily overnight, so we had 30cm or more of light powder. It seemed like we were the only people lapping the bowls, so we got line after line of faceshots. 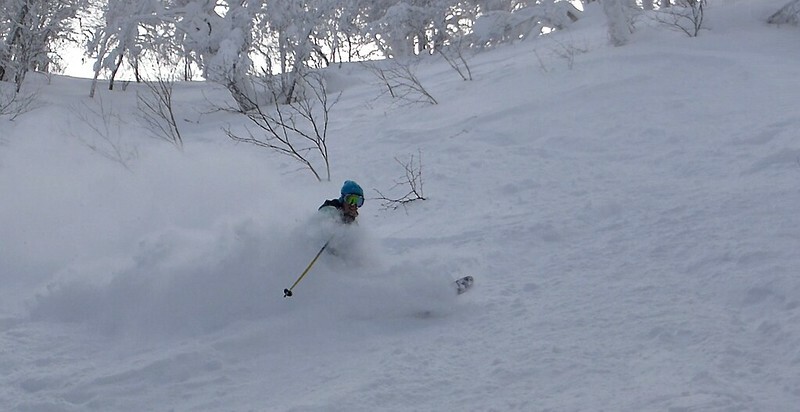 Deep untracked powder. This is what Teine is all about. 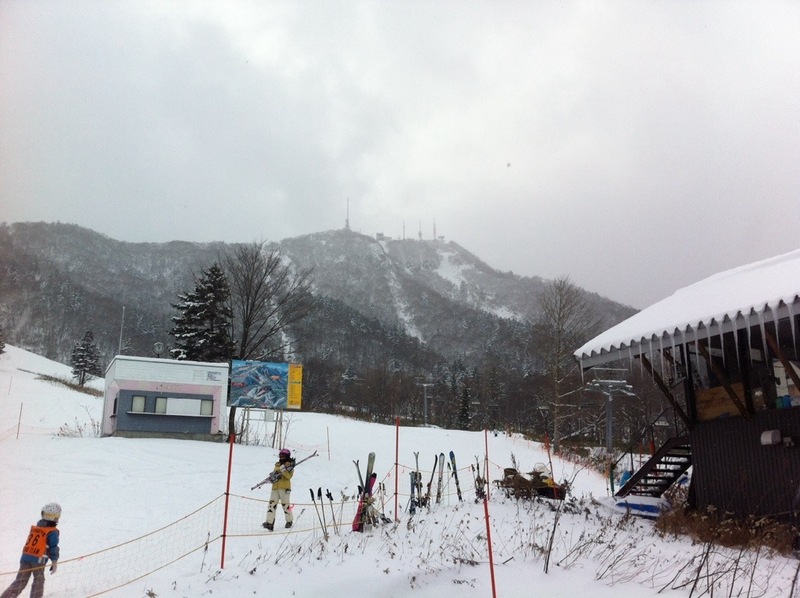 We skied at Rusutsu both Saturday and Sunday this weekend. 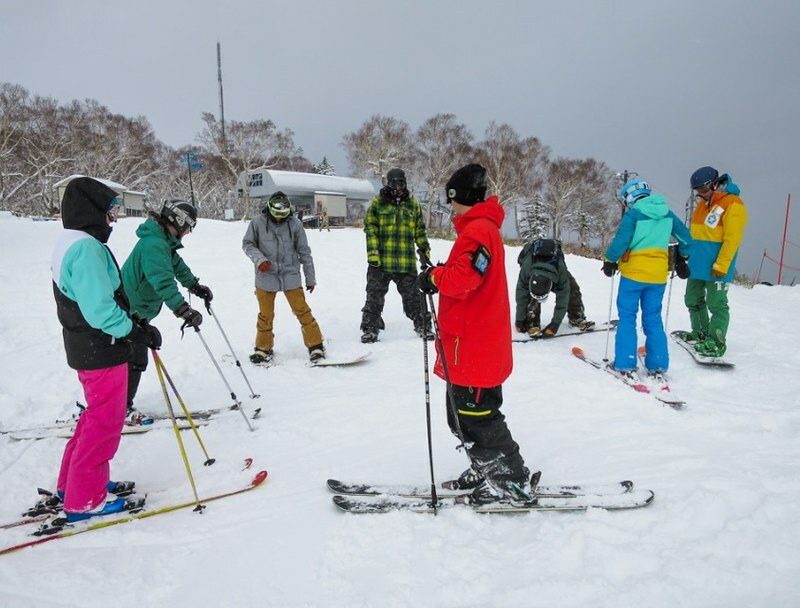 We stayed at Iwanai overnight on Friday and Saturday, giving us an easy drive up to the ski hill each morning. The weather had been really warm, with rain on Friday. Saturday it was still warm, with a dusting of new snow with a hard crust underneath. 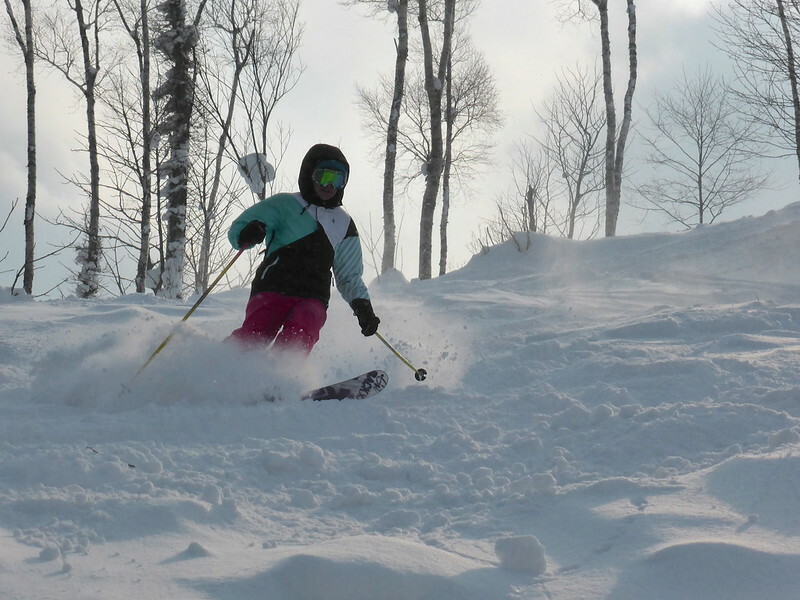 Sunday was way better, with 10 to 15 centimetres of new snow. Mike taking too much speed into a natural hit and getting off axis! 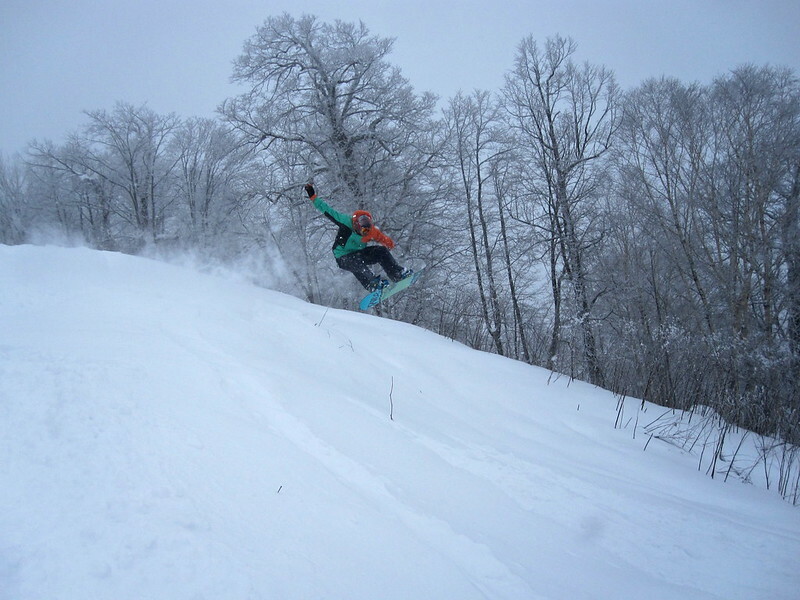 We headed over to West Mountain after lunch on Saturday to check out the new Sidecountry Park. 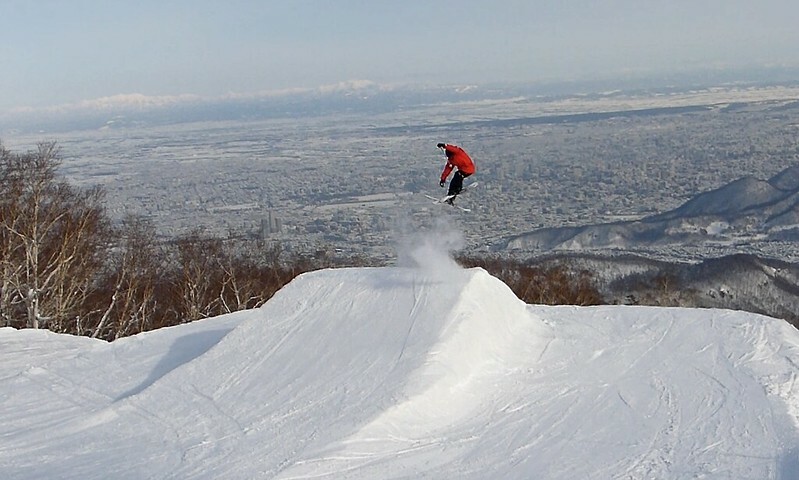 With the crappy snow and bombed out landings, we weren’t going anywhere near the features. 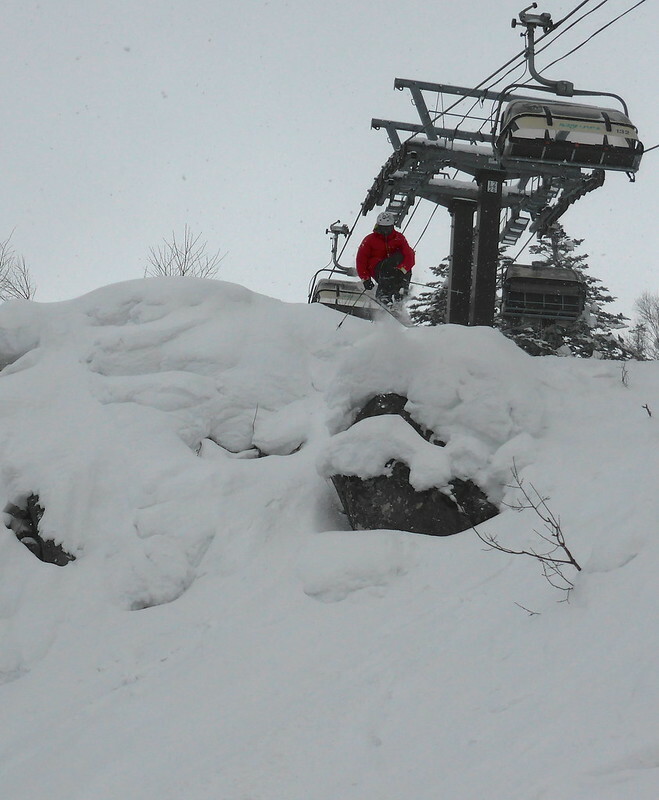 It’ll need a deep powder day for most of the drops and jibs to be rideable by even the best amateur riders! 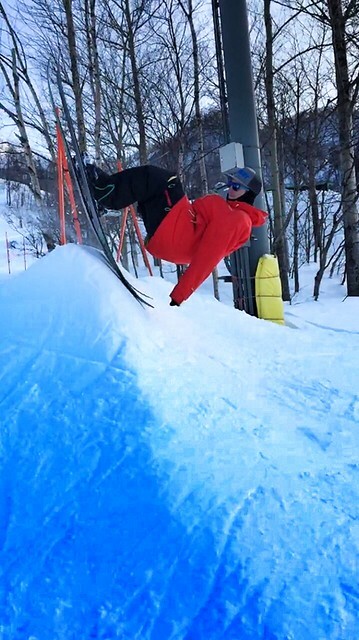 We headed further down West Mountain and spent a couple of hours at the end of the day lapping the terrain park. First time I’ve been in there and I was impressed with the setup. 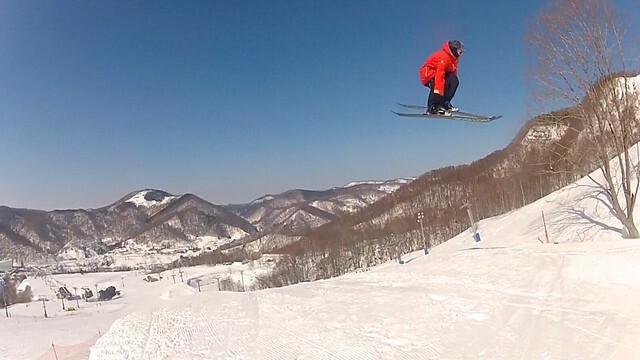 Although the landings were surprisingly hard! 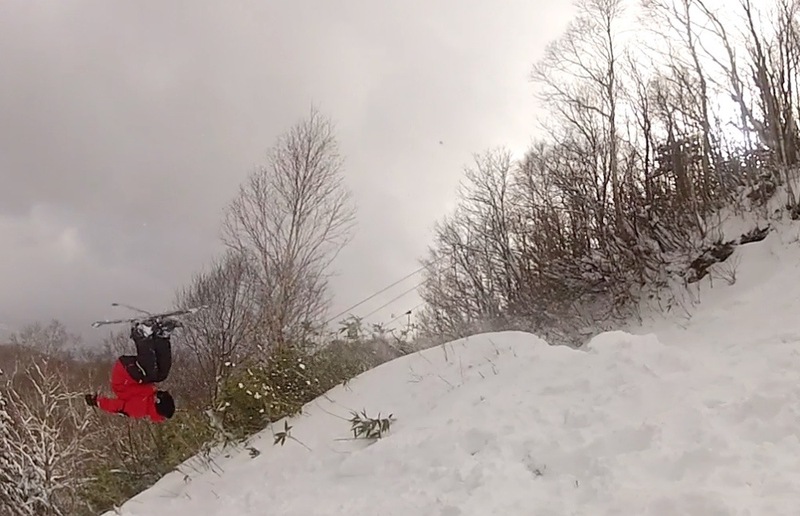 I’ll be back in the spring for sure. 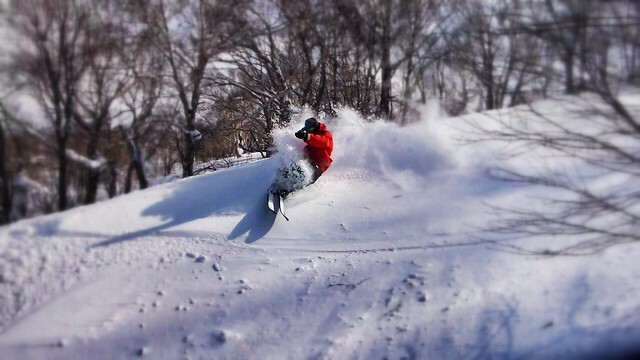 With more snow on Saturday we had alot more fun. 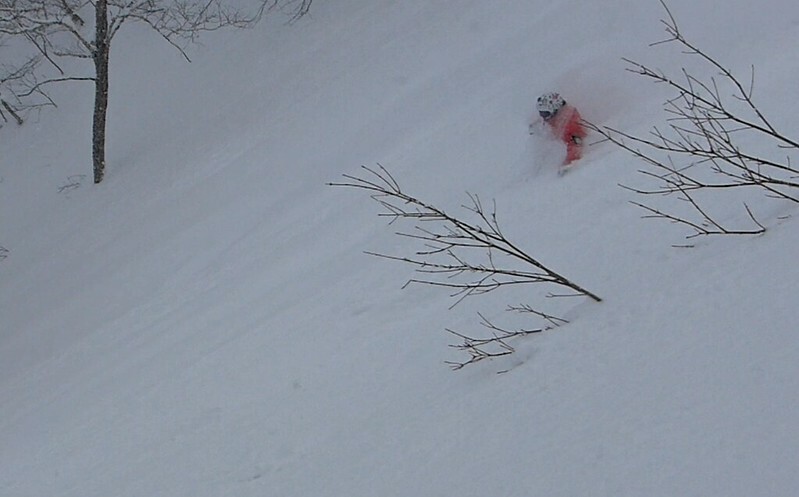 Lots of nice lines in the trees, and a few drops. 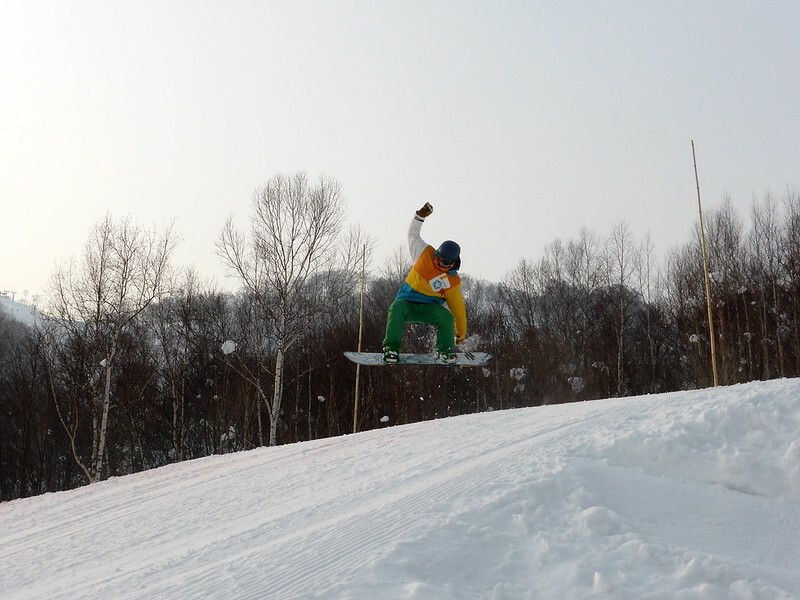 Plus, I was using poles again, so I felt more comfortable and balanced on my skis. 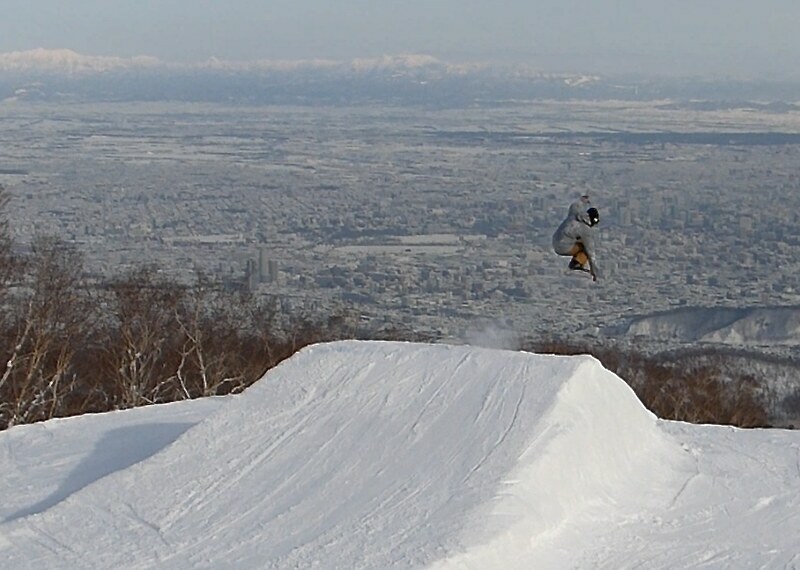 Also on Sunday, we saw the crew from Nimbus Independent who are in Hokkaido for a month or so skiing and filming. 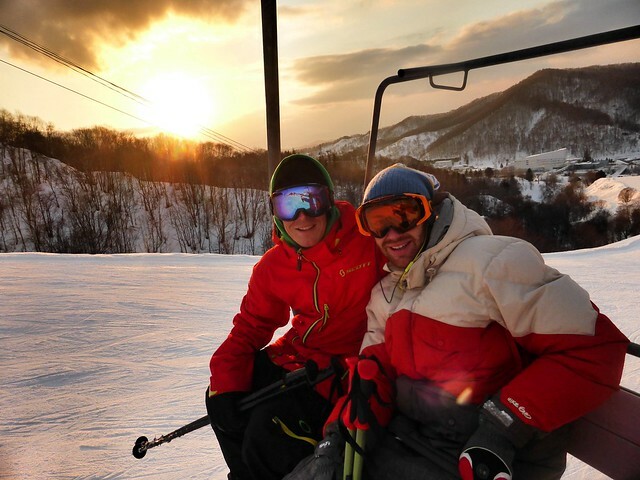 I got a photo with a skiing hero of mine, Eric Pollard. 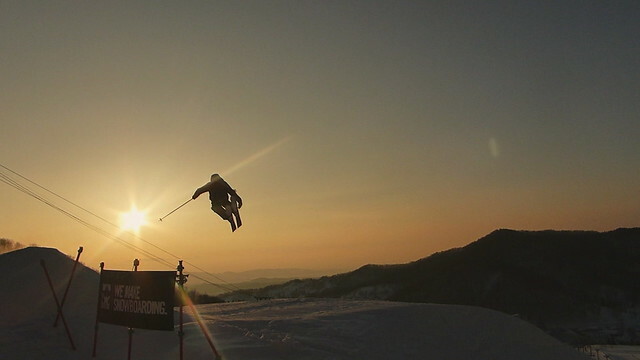 Stoked to meet them, and to see them shredding at one of our home mountains! 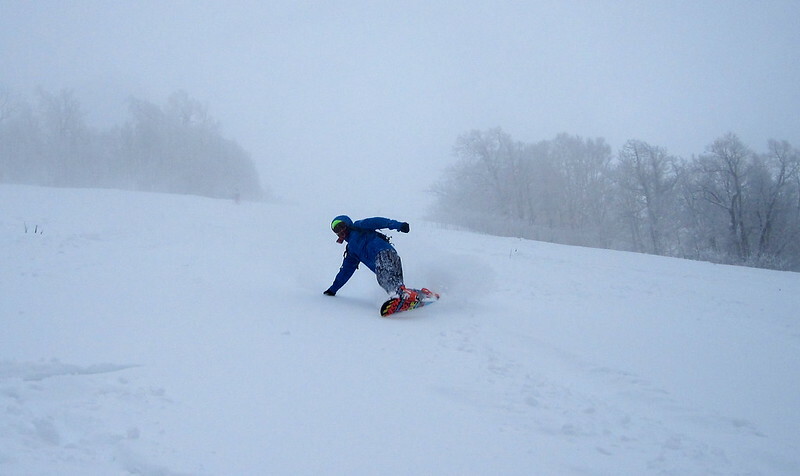 The wind really picked up on Sunday afternoon and it got pretty unpleasant on the mountain. We called it at around 2, and hit the road. 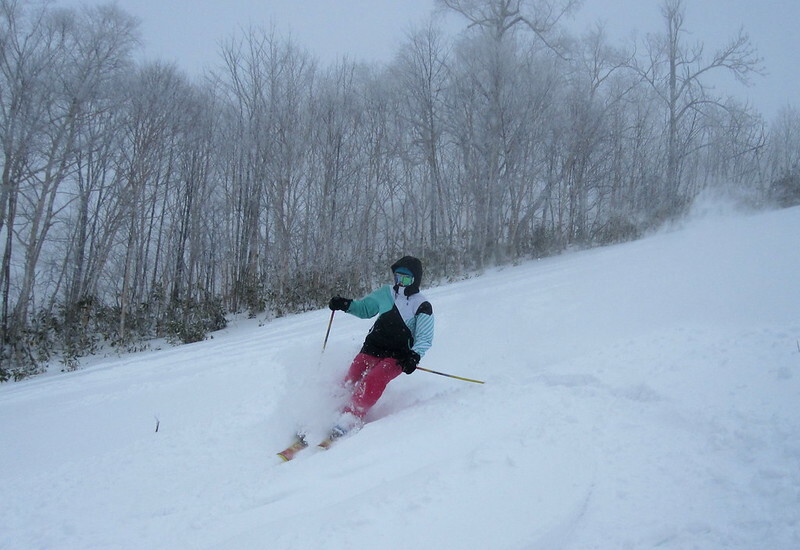 Hopefully the wind and unsettled weather will bring more snow this week. 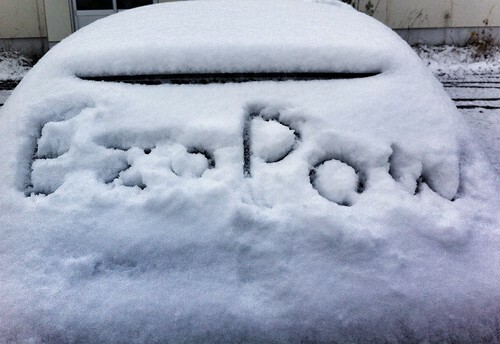 We headed north this weekend, following the snow. 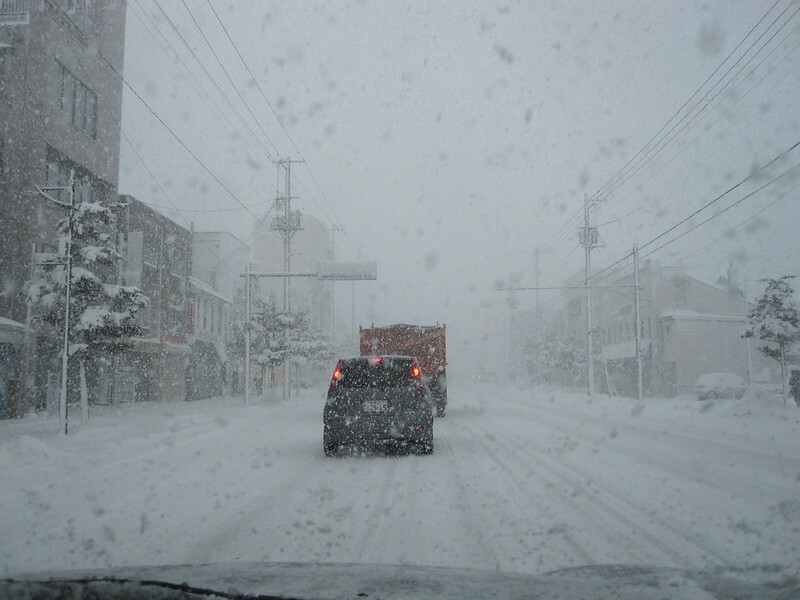 Driving up through Sunagawa and Takikawa, the snow was pounding down so it looked like we’d made the right call. 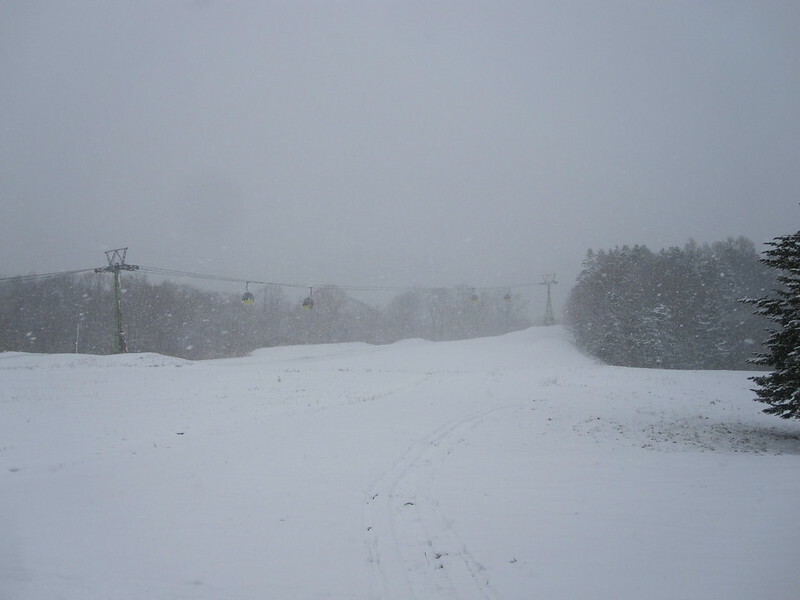 Arriving at Kamui Ski Links, near Asahikawa, there was still a real lack of snow low down, but higher up we could see the trees loaded down with fresh snow. 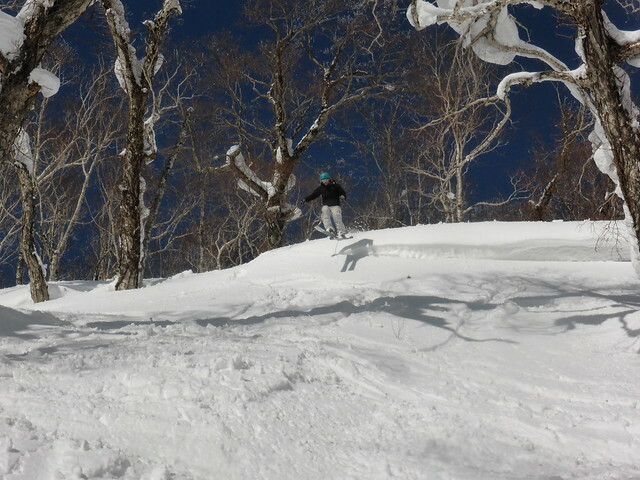 Kamui is a gem of a hill, with loads of tree skiing and rarely any crowds. 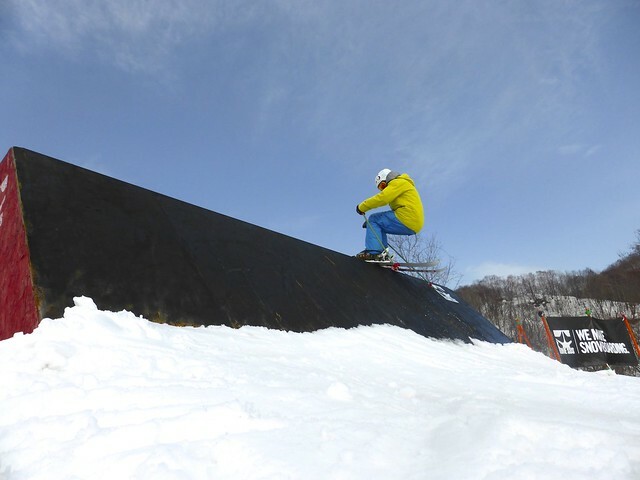 We know the place well having spent a lot of time there and we always seem to run into a few Asahikawa locals who are keen to shred. Today we met up with the southern hemisphere boys, Ross from South Africa and Andy from Oz. 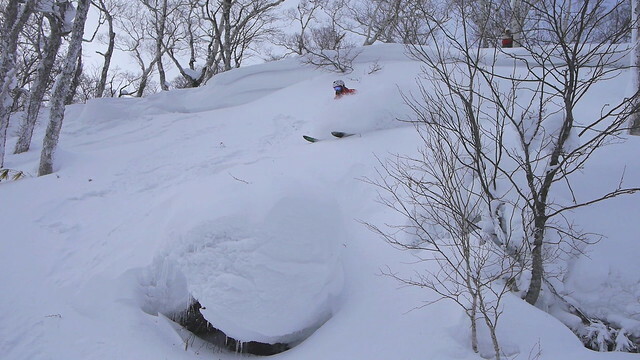 Looking up from the base at Kamui. 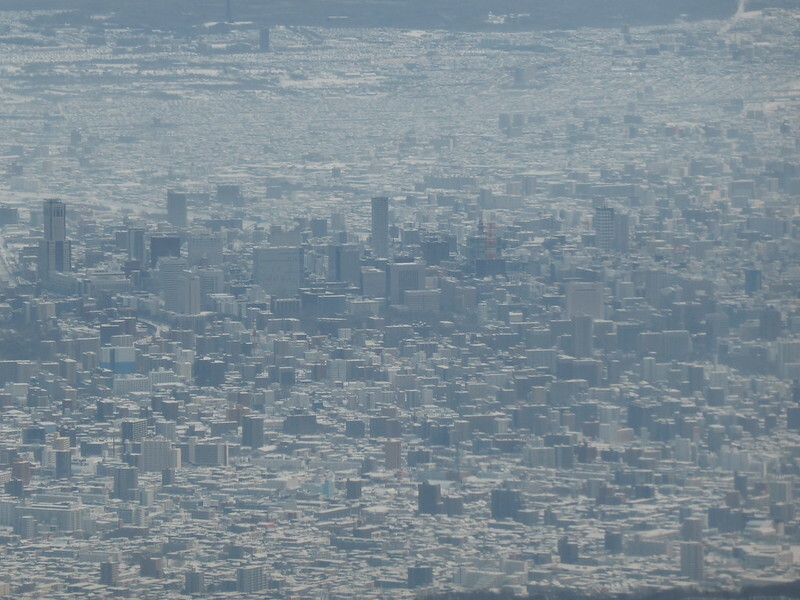 Lots of bare patches still showing. 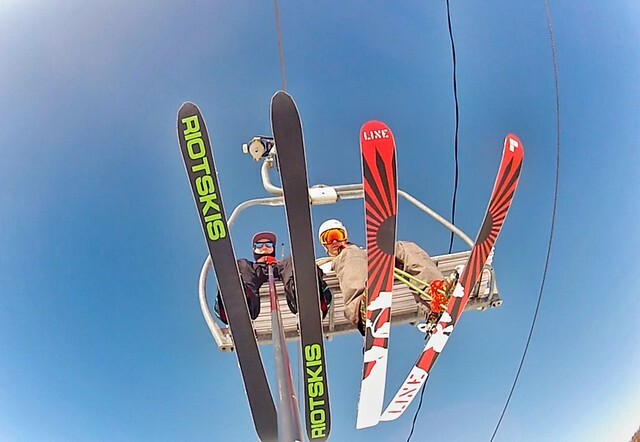 From the top of the gondola, only a couple of runs were officially open. Of course, they were tracked out very quickly. 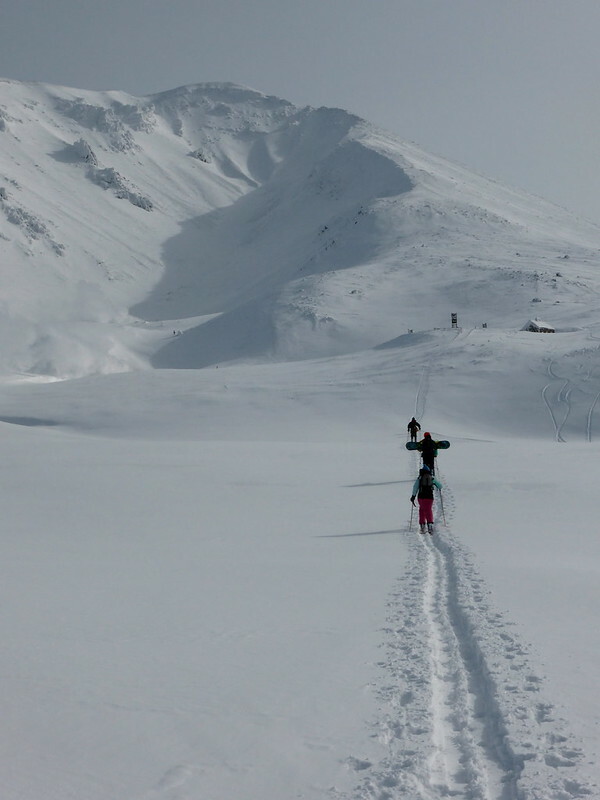 But, turning left out of the gondola and ducking the rope gave us several options of wide open untracked trails, running all the way down to the base of the mountain. 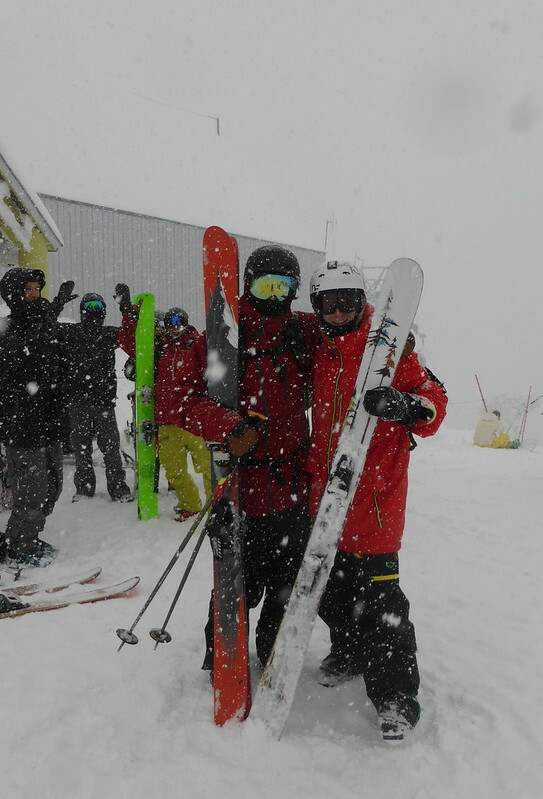 Despite the sketchy bottom section, our boards and skis remained unscathed. 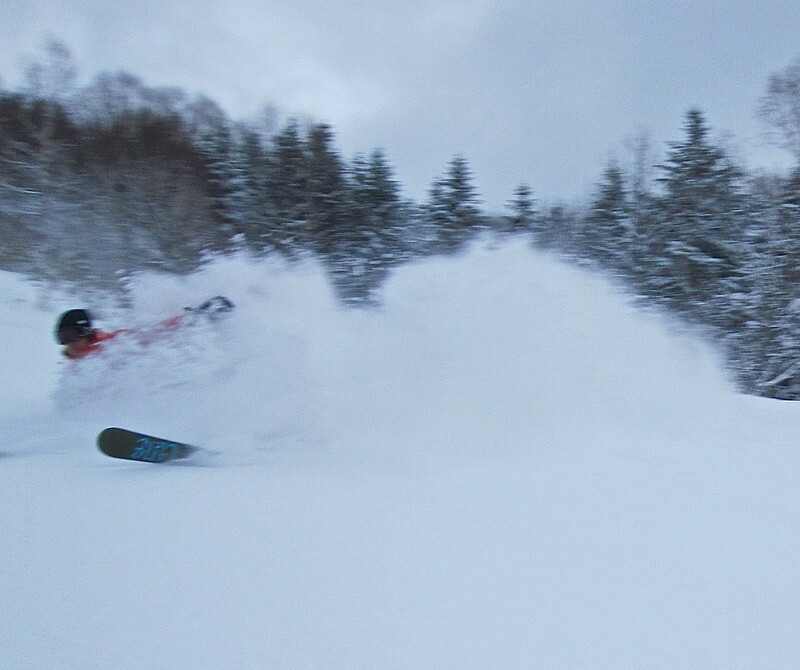 We continued to lap the gondola getting fresh lines every time. An awesome day, but sadly my last for 2013. Operation on Thursday then a trip to the UK. We’ll be back in January, all healed up and ready to go. 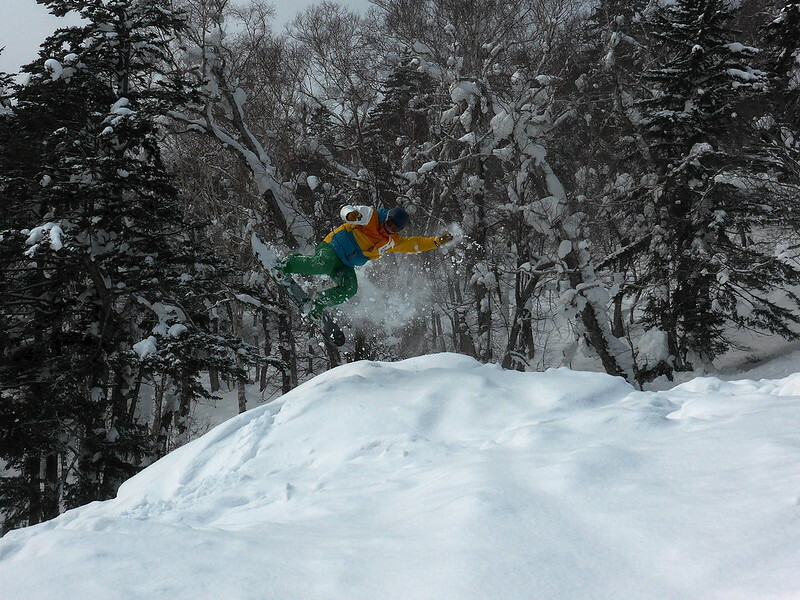 By then, the snow will have filled in all of the off piste areas, and we’ll be hitting some genuine Ezo pow! 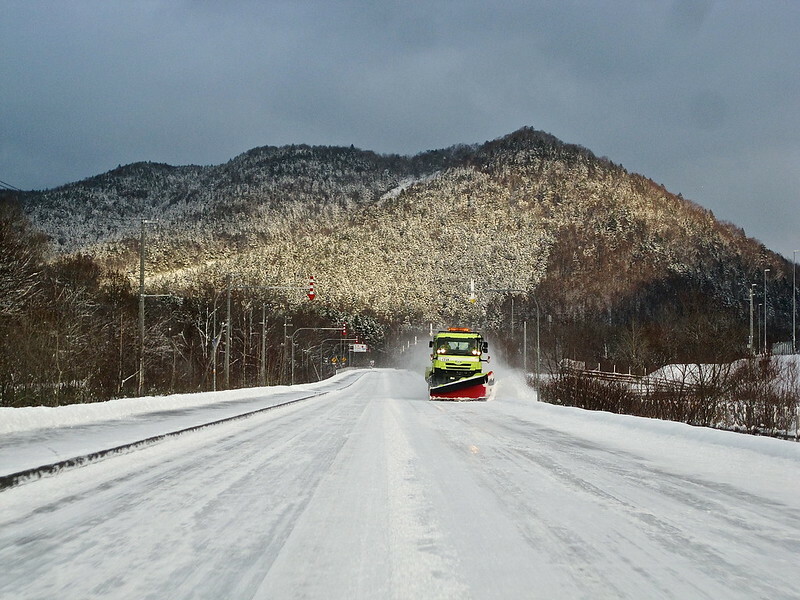 Heading north after Kamui through northern Daisetsuzan. 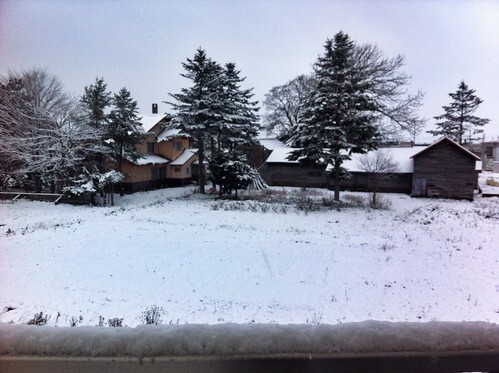 Beautiful empty landscape. 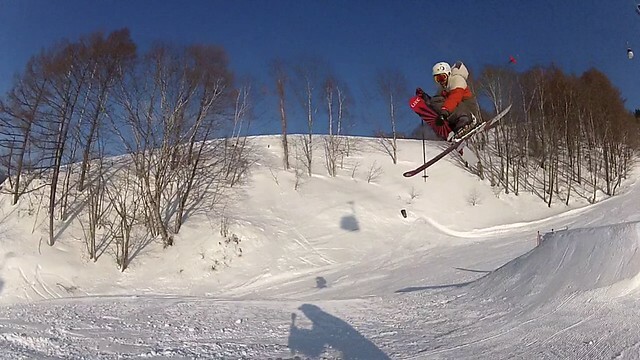 Not a bad couple of days up at Teine. 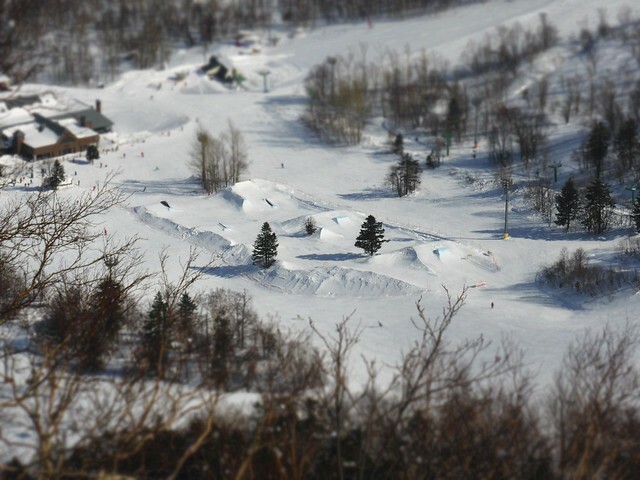 Far more terrain available than last weekend at Nakayama, and no crowds. In fact, we didn’t have to wait in a liftline once. 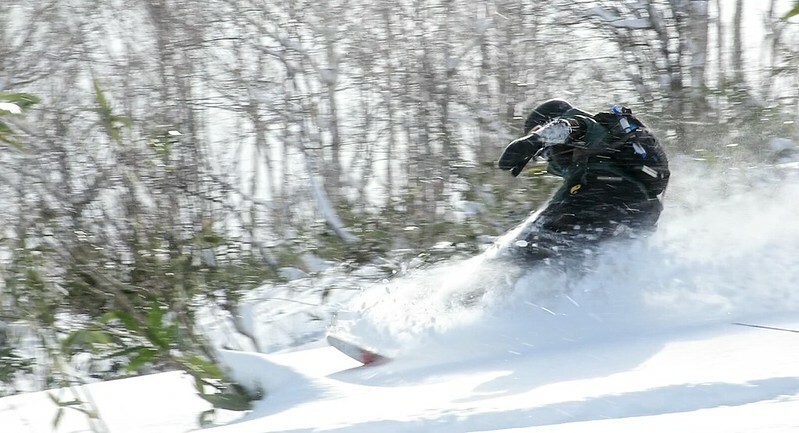 A good crew from the Hokkaido Cartel came up, stoked to be getting the season underway. 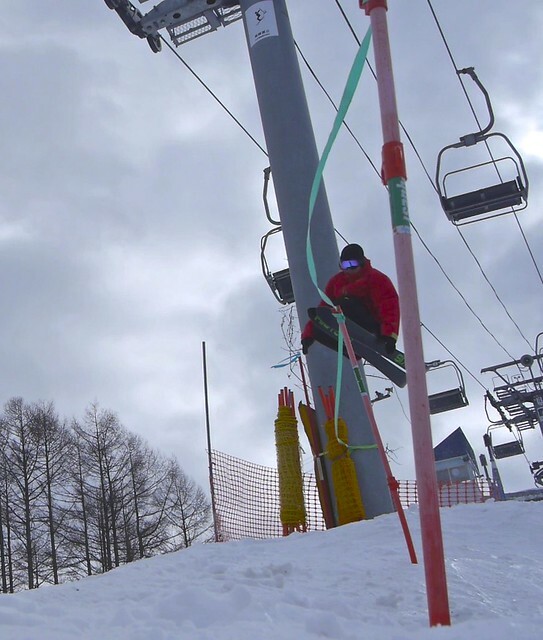 The peer pressure got the better of me on Saturday morning, leading to a crashed front flip and injured hand, meaning I rode the rest of the weekend no poles Harlaut style! 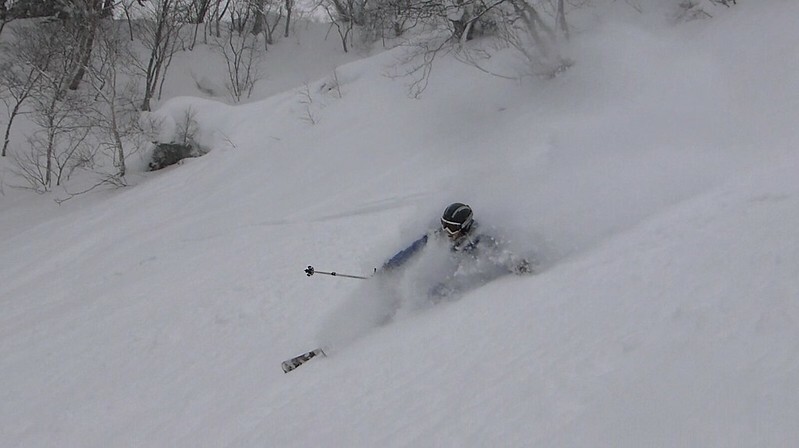 There’s a lot of sasa (bamboo leaves) still above the snow, but we found some decent powder stashes under the chair. 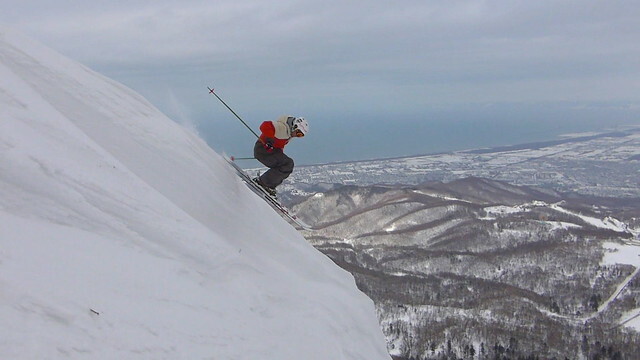 The real highlight of Teine is the summit ridge, below which a number of bowls and chutes give some of the best steep skiing in Hokkaido. It’ll be a couple of weeks before they’re filled in with enough snow to be rideable.